Susan’s first opened it’s doors in 1989. 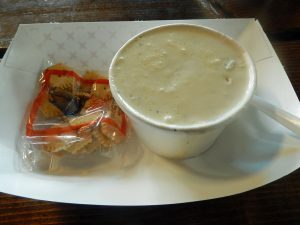 Since then it has been a favorite of locals and tourists alike. 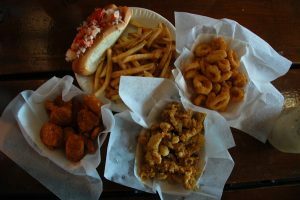 Specializing in Fresh fried Seafood at a great price Susan’s has been featured in many magazines, newspapers, and television programs all across New England, and the country. 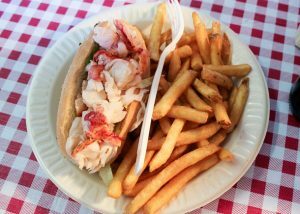 With an open kitchen and specialties like Fried clams, Chowders, Deep fried Lobster tail on a stick, Deep fried ice cream, and many others Susan’s is a must when it comes to Great Food at Good Price. Everyone loves a bargain! We don’t expect our customers to be any different. Because we’ve formed partnerships with so many different businesses and fisherman over the years, we’re able to pass on savings to our customers. We strive to put nothing but the freshest fish on your plate when ever possible. Offering many great specials through out the week to keep you coming back for more! Cooked and picked right in the restaurant when ever possible come in early and you might even see the staff at work with monster pots of lobster to be picked. An amazing treat. 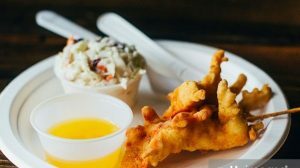 if you have never tried a deep fried lobster tale on a stick get on in and give it a shot. You might want to call first, subject to availability. Just another specialty of Susan’s. hand cut and battered in a very tasty spacial batter. Made daily. seafood and clam are the usual but you never know what Susan might come up with. 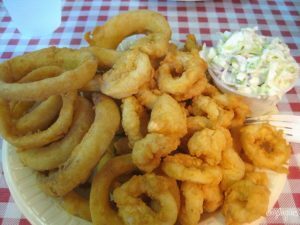 Award winning fried clams! Need we say more? Lots and lots of other amazing choices. 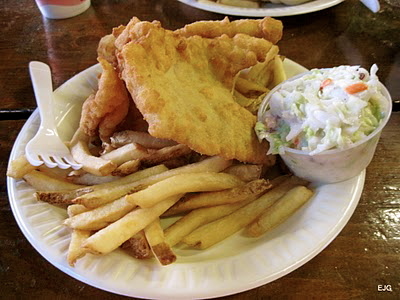 Susan’s Fish-n-Chips has a large menu and new items all the time, stop on in and try something new for yourself. then top it off with some deep fried ice cream for dessert.